Dr. Kia Michel of Comprehensive Urology in Los Angeles talks about the results of a study indicating that a twist on an ancient procedure may help patients better control their urinary incontinence. Urinary incontinence, the inability to control one’s urinary urges that usually results in leakage, is a common but often embarrassing condition for millions of adult American men and women. Although surgery is an effective option, many patients prefer undergoing alternative, non-surgical treatments in an attempt to correct their condition. The results of a study done in China and published recently in the Journal of the American Medical Association have revealed that electroacupuncture is one such non-surgical procedure that may offer relief that is even quicker and more consistently effective than other, more well-known incontinence procedures typically used in the United States. Electroacupuncture is a type of acupuncture in which small currents of electricity are passed between acupuncture needles that have been inserted into the skin. This treatment has been found to enhance the efficacy of traditional acupuncture treatments, especially for the relief of pain. The results are encouraging, as they show a larger decrease in the amount of urine leakage over a six-month period following treatment over placebo procedures as well as fewer episodes of leakage over a given 72-hour period. Kia Michel M.D. earned his medical degree at the University of Washington School of Medicine and completed his residency at UCLA. He has also been recognized as a National Pfizer Scholar. As one of the founding members of the reputable Comprehensive Urology Medical Group, located in the Cedars-Sinai Medical Towers in Los Angeles, California, Dr. Michel treats a host of urologic diseases. 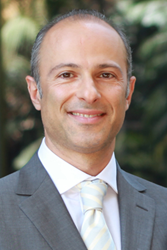 One of the few urologists who is both an acclaimed vaginal reconstructive and minimally invasive surgeon, Dr. Michel is a compassionate doctor who has dedicated his career to providing state-of-the-art care for his patients with a warm, nurturing touch.